There’s no denying that vlogging is one of the hottest online trends right now. No longer constrained by the static images and text of the humble blog, vloggers of all kinds are changing the face of internet marketing. It might surprise you that the top YouTube earner over the last year wasn’t a celebrity or fashion guru, it was a 7-year-old kid. YouTube, where most vloggers host their content, is the second largest social network and the second most visited website on the internet after Google. As they’re part of the Google family, videos uploaded to YouTube can also pack a mighty SEO punch. Most importantly, YouTube is where your audience spends a huge amount of time online. Recent reports show that viewers spend one billion hours on YouTube daily — more than Netflix and Facebook Video combined. Videos appeal to us because we’re a visual species, and we’re also increasingly short on time (with attention spans to match). If you want your own slice of the potentially lucrative vlogging pie, the two pieces of equipment you’ll need are a camera and a microphone. And, yes, you should have both. While many popular vlogging cameras come with built-in microphones, all cameras are built to prioritize picture quality, so the audio is generally an afterthought. Besides poor audio quality, the biggest issue with built-in microphones is that they’re designed to record everything around them. You can end up with a lot of ambient noise, and nobody wants to hear your mom yelling in the background or trash cans being emptied outside. 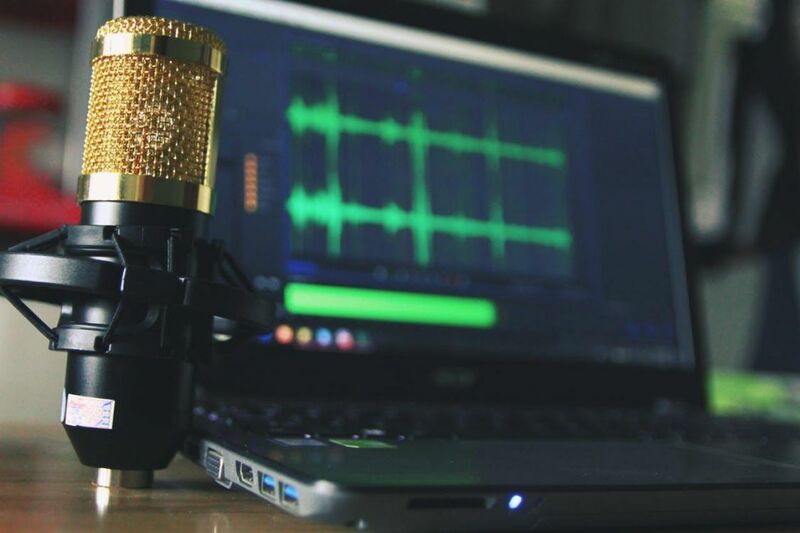 As demand in the vlogosphere grows, home studio tech like cameras and microphones have become increasingly affordable over the last year. Whether your budget is $50 or $500, there’s a microphone to help you build your vlogging empire. As we mentioned above, some microphones are designed to record everything around them — these are called omnidirectional mics. Others are built to record only in one direction (unidirectional). The most common type used for vlogging is a cardioid microphone, which is a unidirectional mic ideal for recording the human voice. 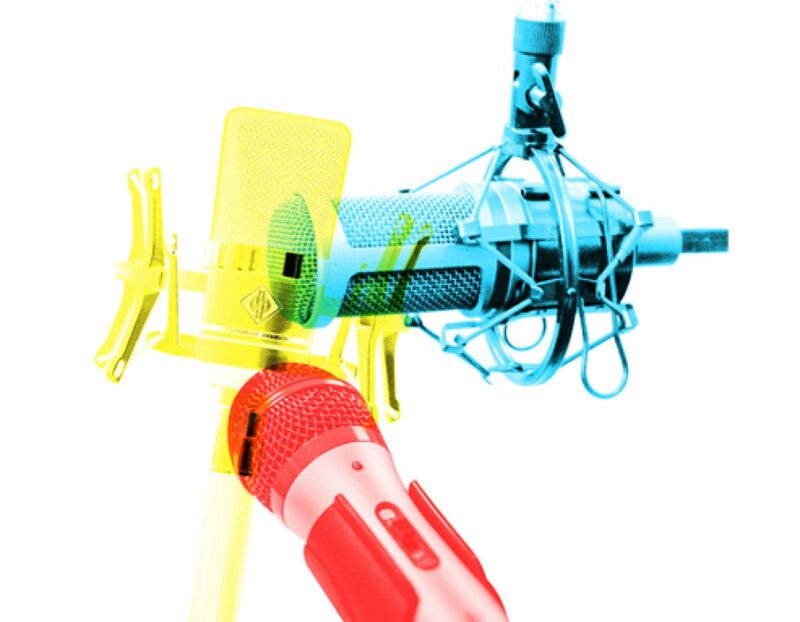 Within the cardioid microphone category there are different types of mic you can choose, depending on your camera, the type of ambient noise around you, and the type of video you’re making. The vast majority of YouTubers and vloggers opt for USB microphones. These are ideal for anything you’re recording near a computer, including gaming walkthroughs, product demos, tutorials, music, interviews, commentaries, and voiceovers. You can read about the features of one of our favorites, the Rode NT-USB Condenser Microphone, below. These microphones mount to a DSLR camera hot shoe (some point-and-shoot cameras have them, but not all) and are a good option if you’re filming outdoors or away from your computer. The most common types are so-called ‘shotgun’ mics like the Rode VideoMic Pro you can read about below, one of our favorite DSLR camera microphones out there. It’s a bit more expensive than other options, but if quality is important to you — and if you’re shelling out for a DSLR, it probably is — then it’s worth it to spend a bit more for a quality DSLR mic too. Lapel or lavalier microphones unobtrusively clip to your clothing and are available as both more expensive wireless systems and budget-friendlier wired systems. While lavaliers are typically omnidirectional, because they’re clipped close to your mouth, it’s easier to suppress background noise later in editing. These mics are often used for interviews and conversational vlogging. They’re also popular with vloggers who move around a lot, like yoga or fitness instructors, dancers, and other performers. The ultra-affordable Audio-Technica ATR-3350IS is a good option that also includes an adapter for use with smartphones. While it’s not the most high-quality option out there, some vloggers on the go opt to use their phones to record. If you go this route, an external mic is a must, since the built-in one provides poor quality audio — the Zoom iQ7 is a popular option for iOS devices. The AKG Pro Audio C214 Condenser Microphone is a studio-grade professional microphone. It won this category last year, and has returned because it’s still a great choice and has even dropped a bit in price. Ideal for: The C214 is a favorite of podcasters, singers, musicians, and anyone else for whom crystal-clear, best-in-class vocal quality is important. As we mentioned above, the Rode VideoMic Pro is a professional-grade shotgun microphone at a budget-friendly price. 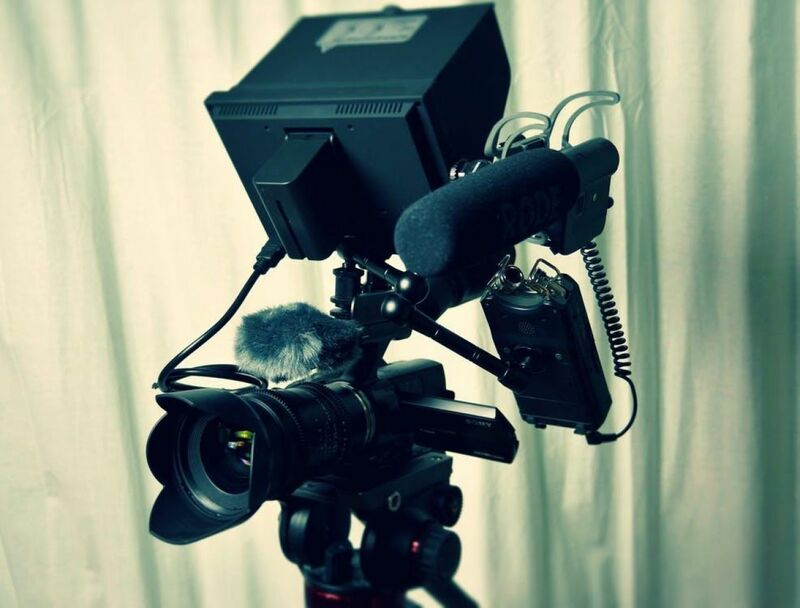 It can be used with DSLRs, portable audio recorders (like the Zoom recorder below), camcorders, and even smartphones! Ideal for: This is a great option for travel vloggers, interviews, sports, and others who want to film on the go and minimize background noise. The Rode NT-USB Condenser Microphone is a great USB microphone from a respected brand. It’s simple to set up, and comes with lots of features and accessories. 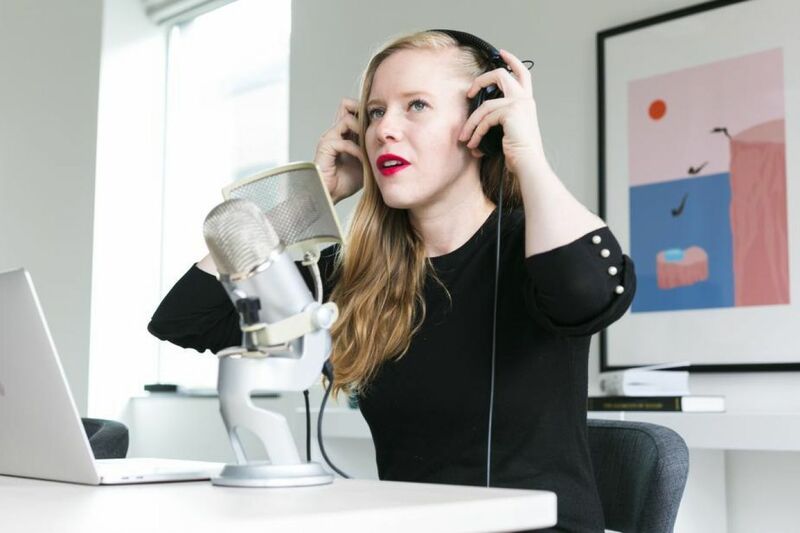 Ideal for: The Rode is one of the best microphones for YouTubers and vloggers who record at their desks, including playthroughs, instructional videos, unboxings, business vloggers, and others. The Blue Snowball USB Microphone is a popular choice for vloggers who are looking for studio-quality sound at an entry-level price. Ideal for: Speech and music vocal recording, and looking good on your desk. The Blue Yeti USB Microphone is a great value microphone for vloggers who don’t plan to leave the house (check out the Zoom H1 if you are). Ideal for: Vloggers who don’t want to spend too much money but want good quality sound. The Audio-Technica ATR-3350IS Microphone is an Amazon choice item and one of the most affordable lavalier (or lapel) mics out there. Ideal for: Unobtrusive voice recording on a budget. The Blue Snowball iCE Condenser Microphone is a solid USB microphone for vloggers on a budget. Ideal for: Streamers and vloggers who want a basic, entry-level USB microphone. This is a mono microphone, so it only records on one channel. For a stereo mic that records on both left and right channels, the original Blue Snowball is only slightly more expensive. With so many options, it can be tough to decide what kind of microphone you need, especially if you’re not an audiophile or if you’re just starting out. We hope this guide helps, no matter your camera, vlogging style, or price range. Be sure to also try Biteable’s easy to use intro and outro templates, built specially for vloggers and YouTubers.